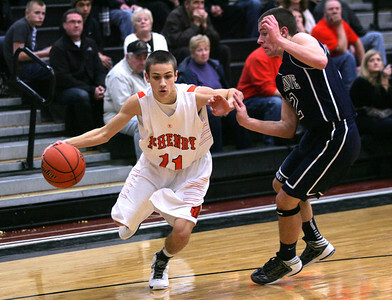 Monica Maschak - mmaschak@shawmedia.com McHenry's Nick Bellich keeps his defender at a distance as he makes his way to the hoop in the first half of the game against Cary-Grove on Wednesday, January 16, 2013. 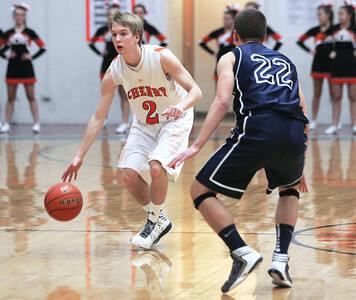 The McHenry Warriors won 63-58. Monica Maschak - mmaschak@shawmedia.com Tyler Szydlo (3) smacks the ball out of Korey Partenheimer's control in a game at McHenry High School on Wednesday, January 16, 2013. The Warriors won 63-58. Monica Maschak - mmaschak@shawmedia.com Ryan Skinner, for McHenry, eyes for a teammate during the first half of a game against Cary-Grove on Wednesday, January 16, 2013. The Trojans lost to the Warriors 63-58. Monica Maschak - mmaschak@shawmedia.com Cary-Grove's Dean Lee jumps for a score in the second half of the game at McHenry High School on Wednesday, January 16, 2013. The Trojans lost to the Warriors 63-58. 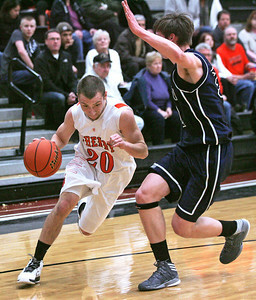 Monica Maschak - mmaschak@shawmedia.com Shane Varvil, for McHenry, powers past his opponent in the first half of a game against Cary-Grove on Wednesday, January 16, 2013. The Warriors won 63-58. 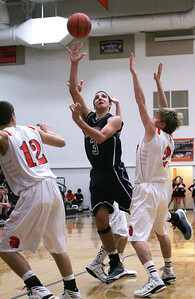 Monica Maschak - mmaschak@shawmedia.com Cary-Grove's Tyler Szydlo aims for the hoop in a game against McHenry on Wednesday, January 16, 2013. McHenry won 63-58. 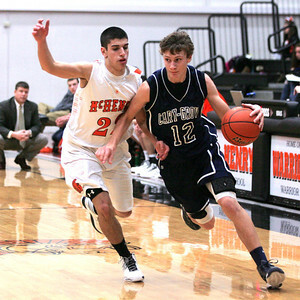 Monica Maschak - mmaschak@shawmedia.com Cary-Grove's Jason Gregoire keeps his opponent at a distance as he makes his way down the court in a game against McHenry on Wednesday, January 16, 2013. The Trojans lost to the Warriors 63-58. Monica Maschak - mmaschak@shawmedia.com McHenry High School cheerleaders cheer on the boys basketball team after scoring a point against Cary-Grove on Wednesday, January 16, 2013. 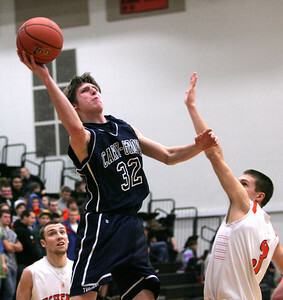 Cary-Grove's Dean Lee jumps for a score in the second half of the game at McHenry High School on Wednesday, January 16, 2013. The Trojans lost to the Warriors 63-58.